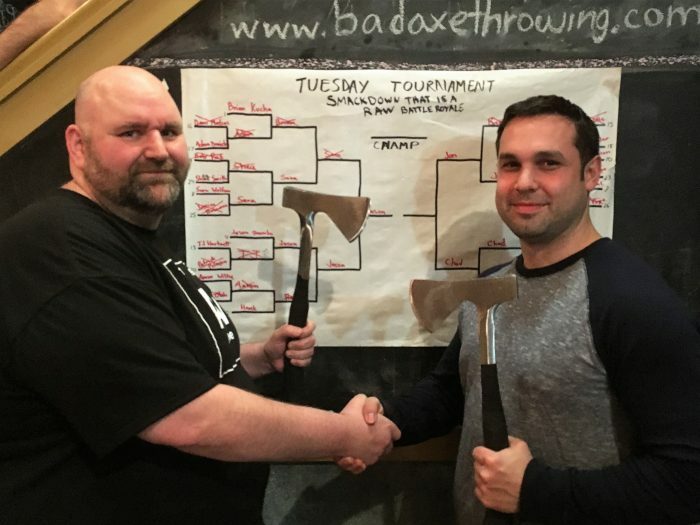 Bad Axe Throwing League’s spring season will soon be here and it’s more exciting than ever. For those who may not know yet, The World Axe Throwing League (WATL) is making its debut. 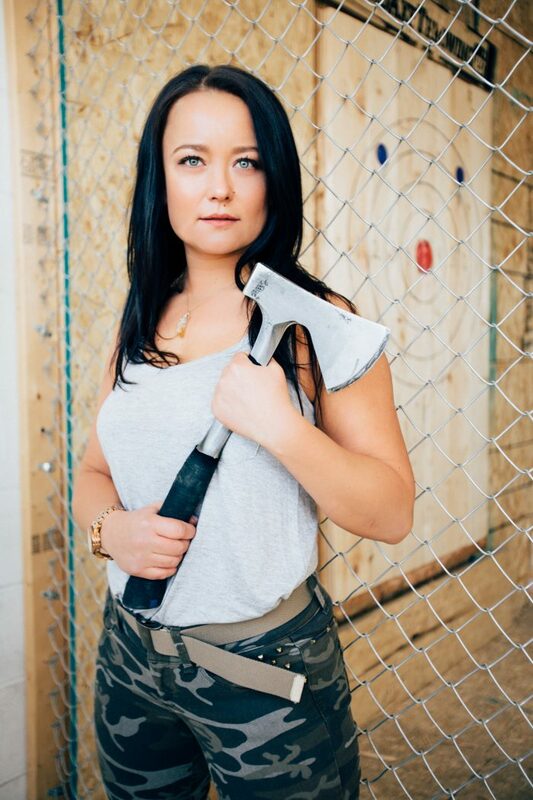 WATL is the first and only of its kind geared towards unifying the sport of axe throwing. Member organizations will be announced in early April. So what does that mean for League Members? Well, the making of axe throwing into an official sport not only nationally but globally will generate bigger momentum to be ranked on top. Bad Axe Throwing and League Members will both be recognized by WATL and if you throw one hell of an axe, your name will go on WATL’s Hall of Fame. The other great advantage is WATL’s website will keep track of all Bad Axe Throwing League member scores across every location. That way you can really see who your competition is, globally! You don’t need to be a pro, all skill levels are encouraged and welcomed. Bad Axe Throwing League nights are a great opportunity to build confidence, develop skills and show off. League nights will fall either on Monday or Tuesday night and will run for 8 weeks. The first 7 weeks will focus on strengthening skills, learning technique and how to throw in some really cool ways. Each week players get 40 throws each, 10 throws per player at a time and 4 rounds in total to tally up an individual score. Leagues are accompanied by our talented coaches, so don’t worry, initial training one on one with them and warm up throws will give you all the confidence you need. For the first 7 weeks players will challenge themselves to continuously improve their season’s score. Their overall score will determine their season’s standing and qualifications for playoffs in the 8th week. And you don’t walk away empty handed, each winner gets an engraved axe according to their location, plus some well deserved bragging rights. And if that wasn’t awesome enough, during the 4th week, league members are welcomed to invite family and friends for FREE to relax and have a great time. The night is designed for you to share and enjoy your axe throwing love with those who matter most to you. And that is important to us. Another wicked bonus on becoming a league member is you get Pro Cards with exclusive offers, such as: free walk-ins, discounts for friends and a frees pass when booking a party. League nights are set to kick off April 10th or 11th. The total cost for membership is $120+tax – that comes out to only $15/week! To secure your spot, there’s a $60 deposit and the balance will be collected on the first night. All previous league members will be given a $20 rebate when signing up for the next season. Whether your solo, with a group of friends or want to have an awesome date night, we are excited to have you join us. With much anticipation spots are filling up fast and we don’t want you to miss out. See you there!